DOVER, NJ, March 19, 2019 - – This March, Casio America, Inc., a leading innovator of electronic musical instruments, is excited to spotlight composer, arranger, performer and studio musician Kristian Terzic, as part of its Artist Program. DOVER NJ, March 1, 2019 - Casio America, Inc., a leading innovator of electronic musical instruments, is preparing to celebrate ‘Music in Our Schools Month’ this March. DOVER, NJ, February 26, 2019 - Casio America, Inc., a leading innovator in the world of electronic musical instrument technology, is thrilled to announce that its new PRIVIA PX-S1000 and PX-S3000 digital pianos have received an Editors Choice Award from Music Inc. magazine. DOVER, NJ, February 5, 2019 - Casio America, Inc., a leading innovator in the world of electronic musical instrument technology, is proud to announce that its PRIVIA series of digital pianos earned multiple awards at the 2019 NAMM Show. The accolades include NAMM’s Best in Show Award in the category of “Gotta Stock it”, Keyboard magazine’s Key Buy Award for outstanding value, and MMR’s Home Digital Keyboard Dealer’s Choice award. DOVER, NJ, May 23, 2018 - This May, Casio America, Inc., a leading innovator of electronic musical instruments, is excited to spotlight jazz pianist Nick Smith, as part of its Artist Program. Casio's Artist Program was created in an effort to assist both aspiring and established musicians by providing multiple levels of support including the best tools and technology available for them to create and perform with on the go or at home. 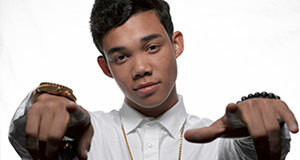 DOVER, NJ, May 2, 2018 - Casio America, Inc. joined forces with national non-profit organization Notes for Notes and Disney/Own star Roshon Fegan to host a special, after-school, youth music workshop on April 27th. During the workshop, Roshon taught children how to create and perform their own original song using Casio’s new CT-X3000 keyboard. 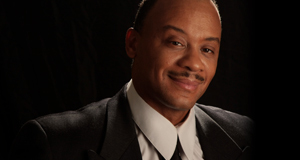 April 25, 2018 - Casio America, Inc. is thrilled to highlight outstanding pianist Darrell Lavigne, as part of its Artist Program. Casio’s Artist Program looks to assist both aspiring and established musicians by providing multiple levels of support including the best tools and technology available for them to compose, practice and perform with on the road, in the studio, or at home. DOVER, NJ, April 19, 2018 - April is Jazz Appreciation Month and Casio America, Inc. invites musicians and consumers to join in the worldwide celebration of International Jazz Day on Monday, April 30th. Jazz Appreciation Month was created to highlight the genre's significant contribution to music while celebrating its roots and the cultural impact it has made throughout history. January 25, 2018 - Casio America, Inc. is showcasing its extensive lineup of digital keyboards and pianos at Winter NAMM 2018, including its brand-new full portfolio of digital keyboard and pianos along with the new models, are on display in the company’s booth (#9502) from January 25-28 at the Anaheim Convention Center in Anaheim, CA. January 26, 2018 - Casio America, Inc. kicked off its Winter NAMM 2018 activities with an exclusive music event at the Anaheim Hilton. 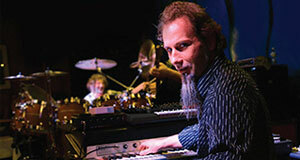 The Company hosted a release party for renowned jazz keyboardist Steve Weingart’s new album “OASIS”. 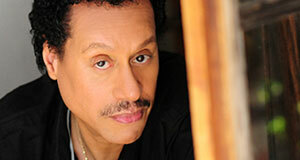 Inspired by his use of Casio’s Celviano GP-500 Grand Hybrid Piano. January 25, 2018 - Casio America, Inc. is showcasing its extensive lineup of digital keyboards and pianos at Winter NAMM 2018, including its brand-new CT-X series of portable keyboards. 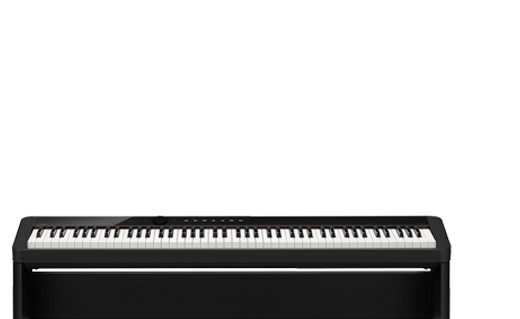 Casio’s full portfolio of digital keyboard and pianos along with the new CT-X models, are on display in the company’s booth (#9502) from January 25-28 at the Anaheim Convention Center in Anaheim, CA. December 7, 2017 -Casio America, Inc. is excited to announce that it has been named a winner in the 25th Annual Musical Merchandise Review (MMR) Dealers’ Choice Awards for Pro Digital Piano Line of the Year. With innovative features, authentic piano feel, and uncompromised sound quality, Casio’s digital pianos deliver brilliant performance and incredible functionality for musicians who want to recreate the sound and feel of a grand piano on the go, on stage, or at home. October 10, 2017 - This month, Casio America, Inc. is thrilled to spotlight Roshon Fegan as part of its Artist Program. Casio’s Artist Program supports aspiring and established musicians by providing them with the most innovative tools and technology to compose and perform their music, whether they are in the recording studio, performing on stage, or traveling on tour. September 20, 2017 - This September, Casio America, Inc. is thrilled to highlight multi-instrumentalist, singer/songwriter and music producer, Aaron Todd, as part of its Artist Program. Casio’s Artist Program supports aspiring and established musicians by providing them with the most innovative tools and technology to compose and perform their music, whether they are in the recording studio, performing on stage, or traveling on tour. September 14, 2017 - School is back in session and with that comes the start of music classes and lessons for many students. Casio America, Inc. is dedicated to providing budding musicians of all levels with the instruments they need to foster a love and appreciation of music. This month, Casio teamed up with Adopt the Arts (ATA) to gift Rosewood Avenue Elementary School in Los Angeles, California with more than two dozen Casio SA-46 mini keyboards for the program’s new keyboard classes starting this year. July 13, 2017 – Casio America, Inc., is showcasing its expansive lineup of digital keyboards and pianos at Summer NAMM 2017, including the brand new AP-270, PX-770 and PX-870, the newest models in its industry leading Celviano and Privia digital piano lines. These digital pianos, along with Casio’s full portfolio, will be on display in the company’s booth (#431) from July 13-15 at Music City Center in Nashville, TN. July 13, 2017 – Today, Casio America, Inc. is pleased to announce the addition of three new models to its well-known Celviano and Privia digital piano lines. Fortifying its place as a leader in the electronic musical instrument industry, Casio’s Celviano AP-270, as well as the Privia PX-770 and PX-870 offer a number of new features that will appeal to a variety of users, from beginners to advanced musicians. Casio’s latest models will be on display during Summer NAMM from July 13-15, 2017. July 11, 2017 – Today, Casio America, Inc. has announced that its newest Portable CTK-3500, CTK-2550, CTK-1550, and Key Lighting LK-265, LK-247 and LK-190 keyboards are now available for purchase. These keyboards not only offer a complete feature set geared to support learning, but also provide an easy and fun way to explore musical creativity. Casio’s new keyboards will be on display at booth (#431) during Summer NAMM at the Music City Center in Nashville, TN, from July 13-15, 2017. June 21, 2017 – “World Music Day”, also known as Make Music Day, is here once again and Casio America, Inc. is encouraging musicians of all levels to participate in the celebration. Since 1982, Make Music Day has been held on June 21st and has grown to include free community events and performances in hundreds of cities worldwide. Whether you attend an event in your community or choose to participate from home, Casio has a variety of products to ensure musicians of all levels can join in the celebration. 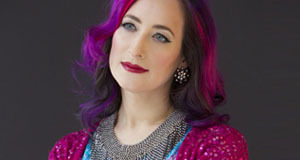 June 7, 2017 – This June, Casio America, Inc. is delighted to highlight the vocalist and innovative multi-instrumentalist, Rachael Sage, as part of its Artist Program. Casio’s Artist Program supports aspiring and established musicians alike by providing the best tools and technology available for them to compose, practice and perform with on the road, in the studio, or at home. May 31, 2017 - Casio America, Inc. is dedicated to providing musicians with the technology and tools they need to foster creativity and bring communities together through the power of music. This month, Casio continued to demonstrate that commitment by working with Mindful Music at the UCLA Jane & Terry Semel Institute for Neuroscience and Human Behavior to make piano performances possible by donating digital pianos. April 20, 2017 - Casio America, Inc. is encouraging musicians and consumers worldwide to join in the celebration of Jazz Appreciation Month, culminating with International Jazz Day on Sunday, April 30th. Jazz Appreciation Month, also known as JAM. Whether attending a concert, listening to recordings of the greats, or studying jazz music, Jazz Appreciation Month serves as the time of year when the rich history and cultural impact of the music genre can be fully celebrated. April 13, 2017 - Casio America, Inc. is thrilled to announce that it will be taking part in the 12th annual ASCAP ‘I Create Music’ EXPO, the premier national conference for songwriters, composers, artists, producers and music business leaders. As part of its participation, Casio will sponsor the special “She Rocks Showcase” and have a wide selection of electronic musical instruments, on display at the EXPO from April 13-15, 2017. March 28, 2017 - This March, Casio America, Inc. celebrated ‘Music in Our Schools Month’, which was created by The National Association for Music Education, with a special loan of electronic musical instruments to the San Marcos Unified School District in San Marcos, California through a partnership with NAMM’s Museum of Making Music. February 16, 2017 - Casio America, Inc. is pleased to spotlight the multi-talented Tom Brislin as part of its Artist Program. Casio’s Artist Program looks to support both aspiring and established musicians by providing the best tools and technology available, allowing them to easily fulfill their love and passion for music. 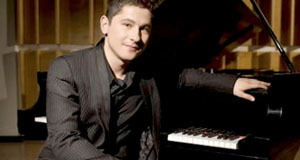 January 26, 2017 - Casio America, Inc., is delighted to highlight the remarkable pianist Eldar Djangirov, as part of its Artist Program. Casio’s Artist Program looks to assist both aspiring and established musicians by providing multiple levels of support including the best tools available to musicians. January 19, 2017 - Casio America, Inc. announced today the release of Chordana Play, a free app for smart phones and other devices. The app makes it fun for users to learn to play the keyboard by displaying notes graphically in real time in the piano roll window. January 19, 2017 - Casio America, Inc., is striking a chord with music enthusiasts and professional musicians alike with the launch of seven new digital keyboards and pianos, as well as a new app. New instruments include the CELVIANO Grand Hybrid GP-300WE, Portable CTK-3500, CTK-2550, CTK-1550, and Key Lighting LK-265, LK-247 and LK-190 keyboards. January 19, 2017 - Casio America, Inc. is proud to announce the newest member of the CELVIANO Grand Hybrid family, the GP-300WE, an elegantly designed instrument with a natural white wood finish. December 5, 2016 - Casio America, Inc. is thrilled to highlight the musically gifted Kyle Morrison as part of its Artist Program. Casio’s Artist Program looks to help both aspiring and established musicians by providing multiple levels of support including the best tools available to musicians, allowing them to easily fulfill their love and passion for music. CASIO RECEIVES 2016 PRODUCT EXCELLENCE AWARD FROM MUSIC INC.
November 22, 2016 - Casio America, Inc. is proud to announce that its line of CELVIANO Grand Hybrid digital pianos has received a 2016 Product Excellence Award from Music Inc. Magazine. The Excellence Awards are voted on by retailers who selected products that were an impressive success in 2016. 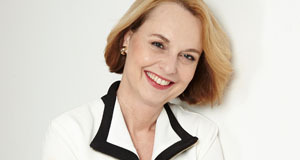 All of the winning products will be featured in Music Inc. Magazine’s annual December Excellence Issue. September 16, 2016 - Casio America, Inc. announced today that its GP-400 CELVIANO Grand Hybrid piano has been nominated for the prestigious NAMM TEC Award in the Musical Instrument Hardware category.